The Health and Family Welfare Employees Housing co-operative Society Ltd has announced their new layout Health City IVC Road – Devanahalli, Bangalore and 29 Kilometers from Vidhanasoudha. Health City IVC road is situated on upcoming 300 feet Road. 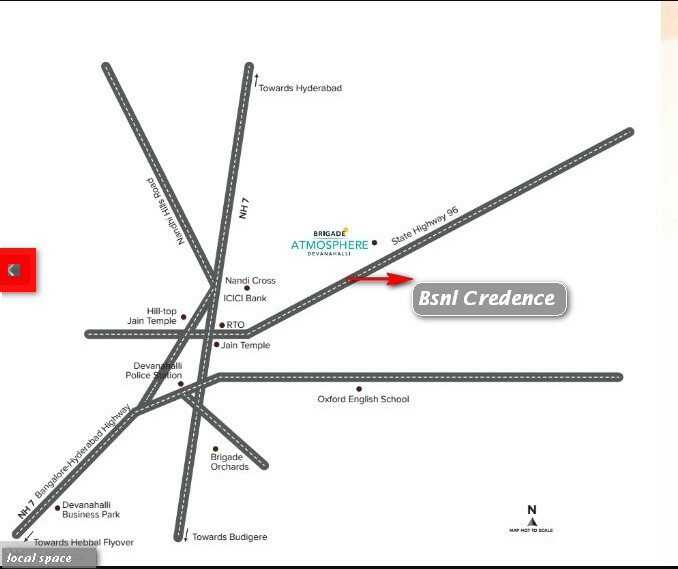 The layout is next to Max – Worth Residency layout & 8 km from Sobha Life style Villa. The proposed 10000 acers ITIR-Information Technolgy and Investment Region is 10 min drive from this layout. A cargo has been proposed in Devanahalli near to this layout. The layout is 10min drive from Airport entrance. Land appreciation is happening very fast due to international airport area and ITIR. The layout will be formed with 80ft,60ft,40 ft & 30ft road, underground water supplying lines, sewerage lines, overhead and underground electrical lines, overhead water tank, septic tank. Planting of trees on both sides of the roads, necessary CA area, park area will be provided to the layout. Entire work will be executed as per the BIAAPA norms and specifications. 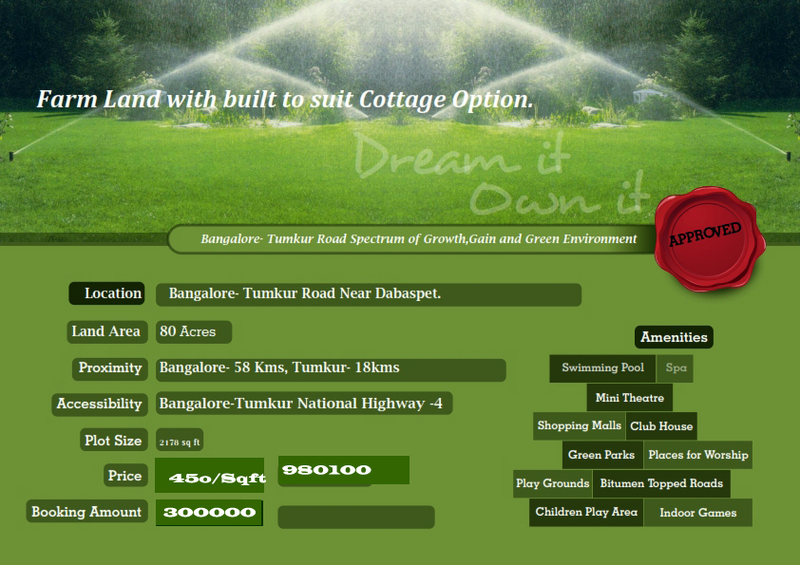 “Health city Bangalore” Provides Site dimensions of 30X40, 30X50, 40X60, and50X80. Rate per sqft is Rs.760.Payment will be made in four installments in between 30 months of time period. Booking of the plot will be accepted on 30% of down payment of total sale value. The remaining balance amount has to be paid in 3 installments as and when demanded depending upon the development of the layout. Time required for the completion of layout will be about 30 months. Allotment of plot will be confirmed on the first come first serve basis. The members who are interested in booking of the site can make the payment in favour of Health and Family Welfare Department Employees House Building Co-operative Society Ltd.either by DD/Cheque or pay order payable at Bangalore. Registration charges extra as per government rules. Bank loans will be available from Nationalized and Scheduled Banks during the time of Registration. Vidyadhar Naik- Member NAR and BRAI- Expert -Times of India Group. Q1) When Housing Society (Health Dept) was established? Ans: Housing society was formed in the year 1987 and registered at Mysore bearing Reg. No AR/41/MKT/RGN/12239/86-87. Q2) Do they have registered office in Bangalore? Ans: Yes. They do have registered office in Bangalore. Q3) How many layouts they have formed till date? Q4) How many are on -going projects? Ans: Two in Bangalore. 1-Dpoddaballpur Road 2-IVC Road and one in Mysore. Q5) Membership and Plot allotment is it legal for members outside the parent Department? Ans: Yes. It is legal from the year 2009. Karnataka Govt. has issued gazette notification on 3rd Nov 2009. Q6) Under which category we are eligible for membership and plot allotment? Ans: There are four types of membership categories. We are eligible under associated membership Category. Q7): Is there any provision in Co-Operative Housing Society Act to transfer allotted plots to another Society/association? Ans: Chapter 16 –E of Co-Operative Housing Society Act clearly says membership can be transferred to a firm, a company or anybody/ corporate constituted under any law for the time being in force including a society registered under the Karnataka Societies Registration Act, 1960. Q8) Can we transfer our membership/plot allotment? Ans) Yes. You can do it by paying Rs 10 and filling up transfer of shares in a prescribed form from the date of completion of your membership tenure of one year and also you will get benefit of plot rate prevailing at the time of transfer. Q9) whether this lay out will have civic agency approval? Q10) What is the present market rate in around IVC road with civic agency approval? Ans: Present market rate is INR 1200-1800/square feet where registration time is 6-12 months. Q11) Why You should Invest? 1) All payment will be directly made in the name of Society and payment receipt issued by secretary of society along with membership id. 4) Proposed Information Technology Investment Region(ITIR) form Karnataka State Govt in 10,000 acres of land.KIADB ha acquired around 2800 acres near Devanahalli for this purpose. This Project is located around six kms from our layout. 7) Employment opportunity of around 2 lakhs professionals. 12)Is there any additional charges to be paid? Ans: Registration Charges extra and betterment charges as per BIAAPA norms at the time of registration. (app: 15-35/sqft).